Self-amendment allows Tezos to upgrade itself without having to split (“fork”) the network into two different blockchains. This is important as the suggestion or expectation of a fork can divide the community, alter stakeholder incentives, and disrupt the network effects that are formed over time. Because of self-amendment, coordination and execution costs for protocol upgrades are reduced and future innovations can be seamlessly implemented. In Tezos, all stakeholders can participate in governing the protocol. The election cycle provides a formal and systematic procedure for stakeholders to reach agreement on proposed protocol amendments. By combining this on-chain mechanism with self-amendment, Tezos can change this initial election process to adopt better governance mechanisms when they are discovered. Proposed amendments that are accepted by stakeholders can include payment to individuals or groups that improve the protocol. This funding mechanism encourages robust participation and decentralizes the maintenance of the network. Fostering an active, open, and diverse developer ecosystem that is incentivized to contribute to the protocol will facilitate Tezos development and adoption. Tezos offers a platform to create smart contracts and build decentralized applications that cannot be censored or shut-down by third parties. Furthermore, Tezos facilitates formal verification, a technique used to improve security by mathematically proving properties about programs such as smart contracts. This technique, if used properly, can help avoid costly bugs and the contentious debates that follow. Participants (“nodes”) in decentralized, peer-to-peer networks provide the necessary computational resources that keep a network up and running. Proof-of-Stake (PoS) is the mechanism by which the various participants in Tezos reach consensus on the state of the blockchain. Unlike other PoS protocols, any stakeholder can participate in the consensus process in Tezos and be rewarded by the protocol itself for contributing to the security and stability of the network. Additionally, PoS is less costly than other consensus mechanisms and lowers the barriers to entry for involvement. In PoS, a security deposit is required to participate in the consensus process. As in proof-of-work, the consensus protocol relies on an honest majority for its security which is incentivized directly by the Tezos protocol by penalizing dishonest behavior and rewarding honest behavior. If a participant behaves dishonestly, they can lose their deposit. Users who do not wish to participate directly in the consensus protocol have the option to delegate their rights to other users to participate on their behalf. 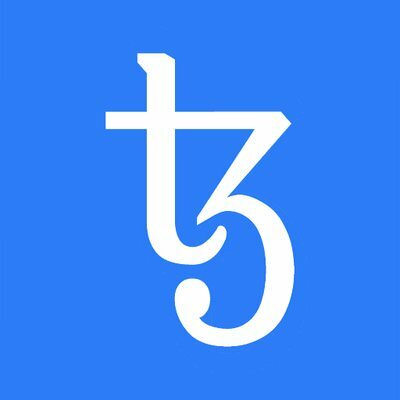 Take a look at these developer resources for specifics on how Tezos operates. Click on the “Check Your Contribution” button below to check the recommended allocation of a given public key hash. Contributors may find their public key hashes on the PDF documents they created during the Tezos Foundation’s fundraiser. Activation codes are required to access the recommended allocations of the corresponding public key hashes. In order to obtain these codes, contributors must complete the Foundation’s Know Your Customer / Anti-Money Laundering (“KYC/AML”) process. Contributors who have not completed this process may do so now. From the outset, the code base underpinning the Tezos protocol has been engineered with security in mind. Although no system can be completely secure, every system can be continuously improved towards that goal. HackerOne, a San Francisco-based cybersecurity company, will deploy and manage a bug bounty program in an effort to steadily improve the overall security of Tezos. Bug bounties offer an attractive way for potential security vulnerabilities to be reported. A bounty payout will depend on the severity of the disclosed vulnerability. In order to encourage responsible disclosure, researchers who point out potential vulnerabilities will not face legal action provided they make a best effort approach to report their findings and comply with the terms of the program. Hackers participating in the bug bounty program should send all findings to https://tezos.com/bugbounty/# . If required, a PGP key can be found here. The fingerprint for this key is: 578B 1B85 C560 80C7 D5B4 2E41 F919 CA02 9854 A530.